The worldwide postal system has become for us an interesting and impressive phenomenon. 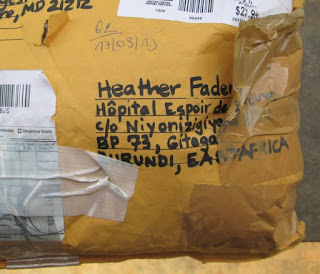 Someone can drop something into a mailbox in, say, Michigan, and that little envelope successfully navigates thousands of miles and lands right here in the middle of rural Africa. Usually. 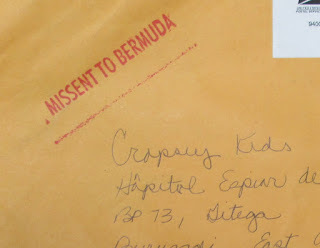 Most mail arrives within a month or two, completely intact. This is an amazing feat. I mean, people tend to arrive rather bedraggled after prolonged international travel. Airlines routinely misdirect luggage. And we have often lost small items during flights and layovers. But mail generally comes through unscathed. 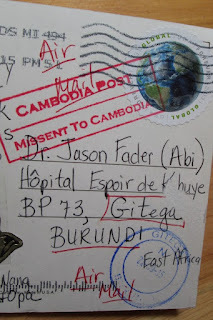 or this postcard which took an unexpected trip to Cambodia before arriving here. Wow! Who knew that mail from North America would be redirected to Africa when mistakenly sent to Asia? This inspires confidence. And gratitude. Mail here at Kibuye is cherished. 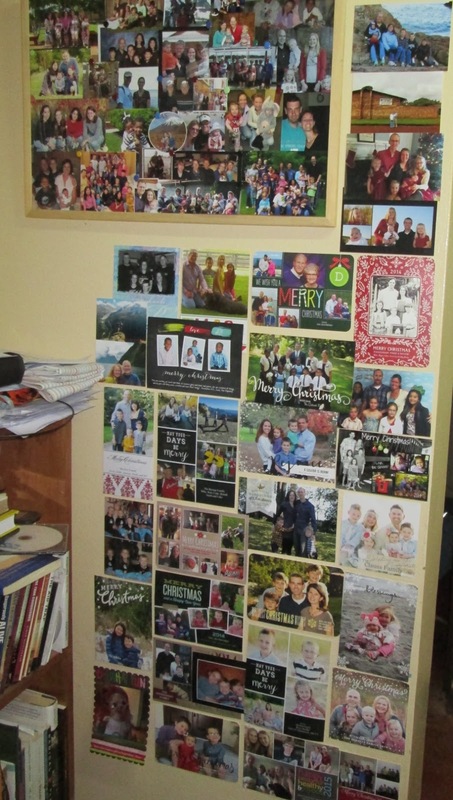 We receive your Christmas cards, and we display them for months on our walls, or even for years on bulletin boards. So our genuine admiration and appreciation go out to the worldwide postal system for a well-coordinated effort that delivers love in envelopes around the world. 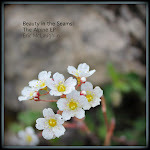 These past 6 days, I have witnessed pure beauty. The closest thing I can compare it to is the feeding of the 5,000, except we were given an impossible sea of blind people to treat. The eye team of Kenyans (from Tenwek Hospital), Burundians (from Kibuye Hospital) and South Sudanese (Samaritan's Purse) cared for over 1,500 patients in Maban, Upper Nile State, South Sudan, and performed 512 cataract surgeries on some of the world’s most difficult cataracts (lots of band keratopathy and pseudo-exfoliation with zonular instability and tiny pupils - I call it Sudanese eye). This region has no access to eye care. The nearest ophthalmologist in Juba is a three-week journey by 4x4. Thankfully we could be flown in by MAF (Missionary Aviation Fellowship). Maban is currently home to a massive refugee population fleeing active conflicts in South Sudan and Sudan just to the north. The majority of the surgeries were for patients who were blind in both eyes and teetering on death’s doorstep. Imagine being a blind refugee in a place where food and water are scarce, violence is endemic and the plagues of the earth freely reek havoc in congested, makeshift camps (HIV, TB, leprosy, dysentery, trachoma.…) with over 100,000 refugees struggling to survive in a land not their own. In fact, several blind patients sustained significant injuries just trying to get to us. Caring for that many patients in such a short period takes a coordinated, team effort which was spearheaded by Samaritan’s Purse and the Maban County Hospital. The UNHCR (United Nations High Council for Refugees) provided three commercial buses for transporting patients by the 100’s each day from four large refugee camps and the "host" community. MSF (Médecins Sans Frontières/Doctors Without Borders), the Red Cross and others also helped publicize and aid patients to the camp. Here is how each day would start. Examine the 80 - 90 post-op patients from the day before. Organize the queue of 80-90 patients to be operated on that day who had already been previously screened. Begin the surgeries while other clinicians would screen 200 - 300 new patients being bussed in by the UNHCR each day. Here's a video of what that looks like. This mother brought her three children to us, all bilaterally blind from cataracts (note the white pupils in the close-ups below). Can you imagine being in her shoes fleeing a war zone and with all your children having gone blind with no hope of getting them care? 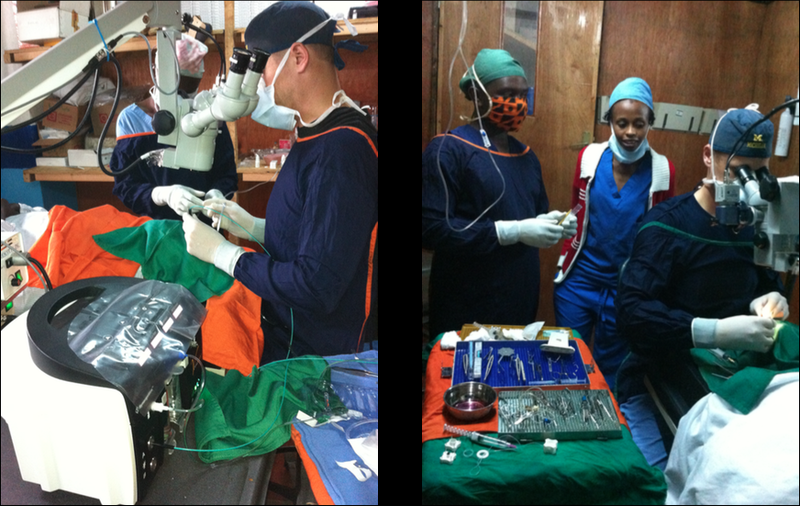 David Sawe, Kenyan cataract surgeon extraordinaire, performed heroic bilateral surgery on all three kids in succession. The kids getting pre-op anesthetic injections followed by the "Super Pinkies" to compress the orbit and eye prior to surgery. The eldest went first. All three had successful bilateral surgery. Below is a mamma who fell and presumably fractured her hip on the way to see us. 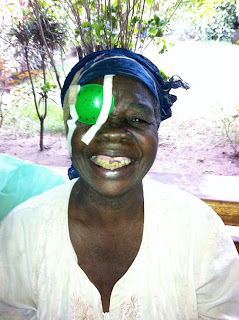 She wanted eye surgery so bad her son brought her to the camp in a wheelbarrow and straight into the operating theatre. She refused to be taken for x-ray or have her hip examined. She desperately wanted to see again and wasn't going to let her hip stop her. Getting escorted to the front of the line in theatre in a wheelbarrow. On our last day there, I had the chance to watch 81 post-ops get up and walk home simultaneously. I'll be honest. It put a tear in my eye. As I strolled back to the SP compound for the last time, I saw this post-op granny who had been totally blind briskly making her way home through the village. We praise God for all He enabled us to accomplish on behalf of the blind of S. Sudan on this trip. I am also incredibly proud of this 100% African team (ok, I am a partial exception but my role was very small), in particular, its talented Kenyan leaders, David Sawe, Jarred and Brenda. TIA (This is Africa) today folks, Africans caring for Africans. Serving together as a team is a HUGE blessing and I wouldn’t trade it for the world. Our kids have built-in friends that have traveled the globe with them since they were really young. The one down-side to this (and it may be the only one) is that it provides little motivation for our kids to have relationships outside of the American bubble. When that is combined with the fact that all of their classes are in English (except French & Kirundi), it leaves very little time in their day when they are exposed to French & Kirundi. 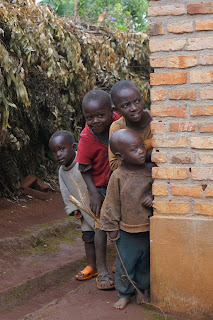 I would really love to spare my children the many hours of grueling toil in language learning as an adult, but even more than that I have been praying that each one of them would have a special Burundian friend. Believe it or not, it takes a lot of effort to provide these kinds of opportunities! The language and cultural barriers are immense in addition to the sheer curiosity that people have about our children that can lead to negative experiences for them (being stared at, teased, laughed at, touched, …). 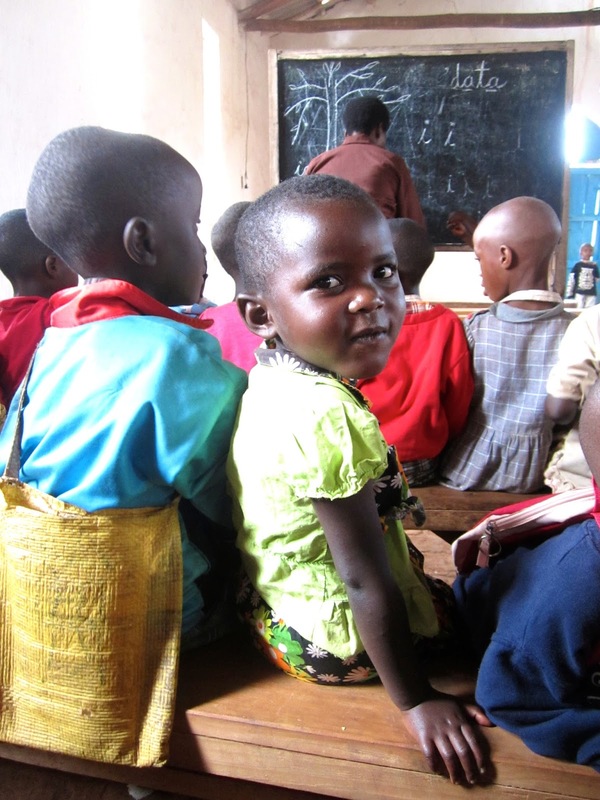 One small baby step that we are taking is sending some of our kids for small periods of time to the local Burundian school (that educates 1,200 kids from pre-K to 9th grade). Last week Wednesday was our first foray this school year. Since Anna is significantly more advanced in her French than the others, she went to the 5th grade French class. It sounds like the level was great for her and provided a good academic challenge. You can pray that she will make some good friends in that class. Due to some miscommunication (which happens frequently around here! 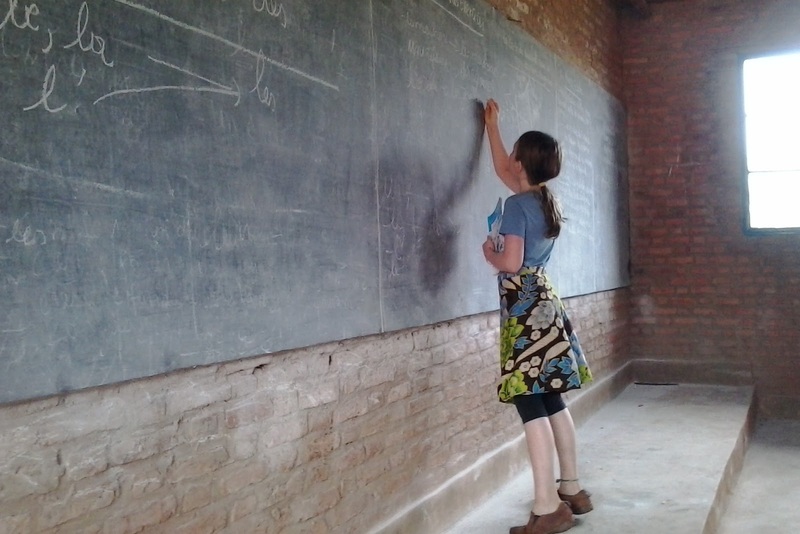 ), Micah, Abi, Elise, & Sam ended up all together in the pre-school class learning some Kirundi instead of French. The pre-schoolers are adorable and our kids had a good time. The teacher, Thérèse is the same woman who comes to our school to teach Kirundi twice a week, so the kids already had a rapport with her. Our most recent visit on Wednesday to the 2nd grade French class was a little less successful. 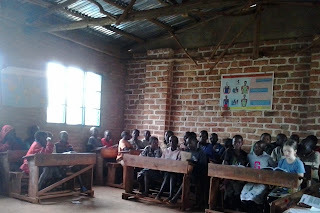 The emphasis was on reading French and the younger kids have only been working on listening comprehension and speaking, so they struggled to enjoy the class. The good news is that they were begging to go back to Kirundi pre-school class! :) The jury is still out on how to best proceed with this group. 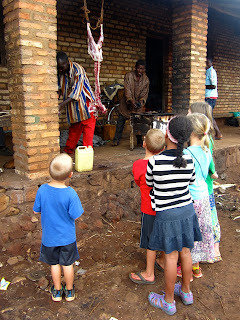 The kids do have Kirundi and French class every weekday, so they have a lot on their plates learning 3 languages. This week in Kirundi class, we inadvertently got focused on learning words related to buying goat kebobs, so we decided to take a trip to practice our newfound vocabulary! I was surprised at how tender and delicious they were and will definitely be going back for another round at some point in the future. Déo and Danyeli (the “abayangayanga”) also became favorites in my book because they shooed away a man who was in my face asking to take Sam home with him. That’s what I call good customer service! So please pray that our kids would continue to develop good relationships with each other and that they would grow in their love for the people, culture, and languages of Burundi. And pray for wisdom for us moms as we try to find creative ways to engage our children in the local community and provide them with good learning experiences. 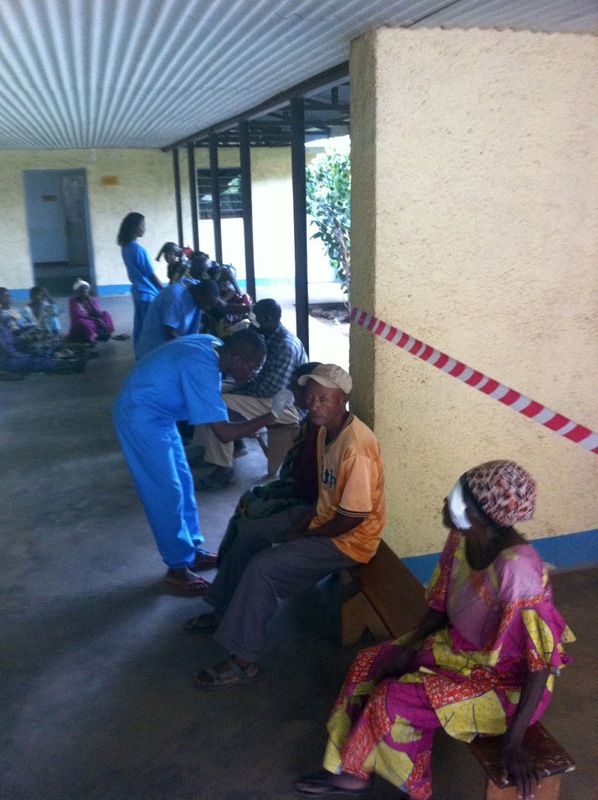 In January 2014, the Department of Ophthalmology at Hope Africa University’s Kibuye Hospital opened its doors with the stated mission of ERADICATING PREVENTABLE BLINDNESS IN THE GREAT LAKES REGION OF CENTRAL AFRICA. What can I say, I like to dream big. We started with one crazy ophthalmologist, five untrained staff, an old paper eye chart and a big vision. Today, we have a capable staff running a pretty well-oiled clinic and specialized surgical theatre. Most importantly, we are training the future of African healthcare professionals with over 100 medical and optometry students having completed rotations with us already. We have also just joined forces with a brand new ophthalmology residency program in Rwanda and together we plan to train the future eye surgeons and physicians of the Great Lakes. It’s a great start to what we hope to build into the major referral eye hospital for the region. But our vision extends beyond that. Burundi (10 million plus) sits on top of Lake Tanganyika with Tanzania and Democratic Republic of Congo stretching along either side and Zambia 500 km away sitting to the south. Twelve million people live on the edges of the lake with virtually no access to eye care. There is good reason for this. This basin is geographically isolated, sitting in the heart of Africa with the impenetrable Congolese rainforest to the west and steep mountains rising out of the lake to the east leading to the vast East African plains of Tanzania. The region has been plagued by decades of war and instability making it one of the poorest, least developed places on earth, yet it remains one of the most densely populated areas of Africa. In other words, a virtual gold mine for any eager ophthalmologist willing to work around a few “road blocks”. 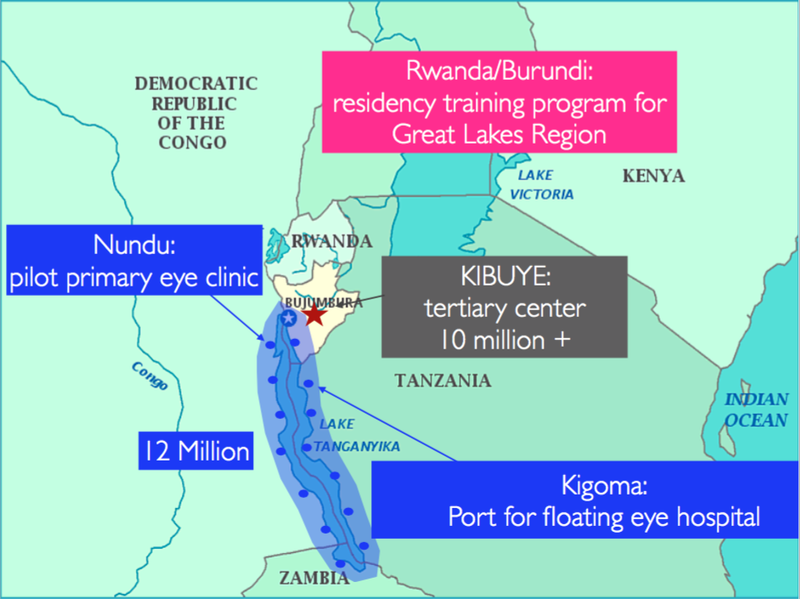 Our vision is to divide this population of roughly 20 million (Burundi + Tanganyika basin) into groups of 1 million and begin building primary eye care infrastructure (blue dots around the lake) with a floating referral eye hospital that can service the primary eye clinics around the entire lake. Today, I want to share with you how we are embarking on this voyage with our pilot program at Nundu in Fizi, South Kivu, DRC. 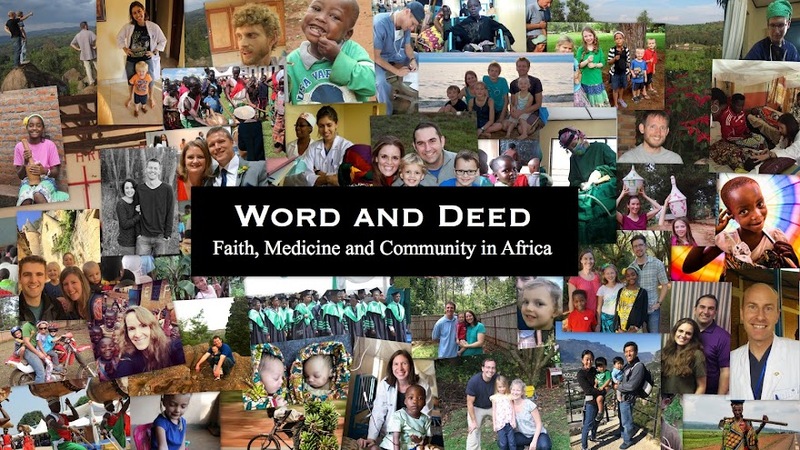 We first visited Nundu Free Methodist Hospital in Fizi in February 2015 at the invitation of missionaries working there. Fizi is home to 400,000+ people. During that visit, we asked the hospital to identify a healthcare professional to come train with us at Kibuye in order for them to have the knowledge base to begin providing very basic eye care and compiling surgical cases at Nundu. Dr. Songolo was selected and joined us for one month at Kibuye. He happened to arrive just as Burundi descended into political chaos in late spring, but he stuck it out and finished his month of training. 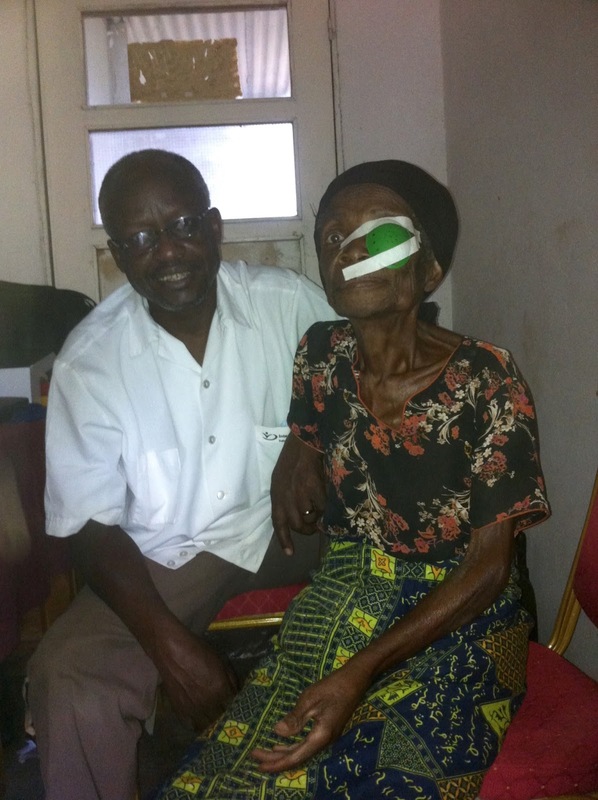 Between June and September he compiled a list of nearly 100 patients requiring sight-restoring surgery at Nundu. So this October we decided to pay him a visit. What does that entail? Step 1, getting visas for the eye team. Since rules change constantly and there are many layers of bureaucracy this required trips to get passport photos, vehicle documents and immigration papers in the capitol 2.5 hours away. We received our visas just days before departure. Step 3, decide if security is good enough to carry out the mission. This requires gathering intel from folks on the ground and from news sources. BBC was reporting an ambush of a military envoy delivering civil servants’ pay near a town we would be passing through. Eleven soldiers were killed and 20K stolen. Concerning. My Congolese contacts on the ground assured me this was to the north of the town. Security was “good” passing to the south where we needed to go. Hmm. Tough call. Step 4 getting to and successfully crossing the border. This is VERY stressful. The Congolese border guards were particularly “thirsty” this day and worked us over trying to leverage extortions of one kind or another. Thankfully, the medical director from Nundu arrived as the “Old Lady” was about to be opened-up for full inspection. He had a word with the boss man who happened to have presbyopia. After an impromptu eye consult and a pair of reading glasses dispensed, we were on our way relatively unscathed. Step 5, traversing the main “highway” of Eastern Congo linking north to south. This is a dirt road requiring one to ford at least three rivers where bridges have been washed out and to drive over several other bridges that look like they could be the next to go. The road weasels its way sandwiched between the water and the mountains sitting on the lake’s edge. From the border to Nundu it is about a three hour bone-rattling journey. There are road blocks along the way where one must negotiate and pay not inexpensive “tolls” for the use of their fine road. We thanked God when we arrived safely. The previously mentioned missionaries were not at Nundu this time around, so we were hosted by the nationals. I slept in a tent on top of the Old Lady while the staff were given rooms in nearby homes. 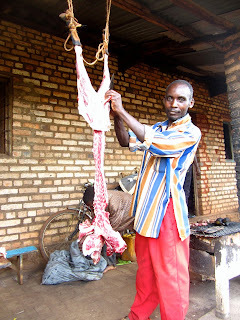 We were well fed by our hosts, but the diet is quite different than the Burundians'. Most of the team found it difficult with the daily fofo working to block the colon while some form of ensuing dysentery fought hard to overcome the fofo beazor. It really puts the bowels into a difficult paradoxical position, constipation with diarrhea. Is that possible? The bad news, there was no running water or privacy. I found myself wanting to go to the pit latrine nearest me, but I could not gather the courage to sit down as there were roaches of unnatural size emerging in large numbers from the crumbling concrete “toilet” and I feared some cess-pool dwelling creature would lay its fangs into my back-side if I got too close. Thus, my best option was using the toilet (with no seat or running water) in the Congolese house down the hill where I also took my bucket baths at night. The bathroom door was constructed of a see-through sheet hanging in the breeze-way between you and the living room where tout le monde (everyone) was listening to the muzungu no doubt work out his issues. The silhouette as I was taking a quick bucket bath at night by flashlight had to be equally frightful. But, I digress. We got right to work the next day and by the end of the week we were able to preform 63 sight restoring surgeries and carry out screening clinics at Nundu and two other locations. We also met with local officials and other NGOs about bringing eye care services to Fizi going forward. 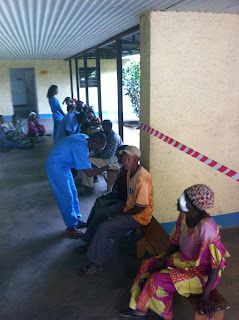 There is currently no eye care of any kind, even in the territorial capital of Baraka. 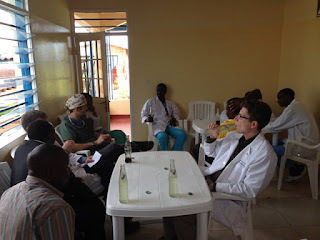 While in Baraka, I visited the MSF (Doctors Without Borders) hospital to discuss the situation there. Baraka felt like a town in the wild, wild west, only in Africa. Ironically, between Nundu and Baraka we drove through a UN refugee camp with over 10,000 Burundians living in make-shift dwellings on the side of the mountains. 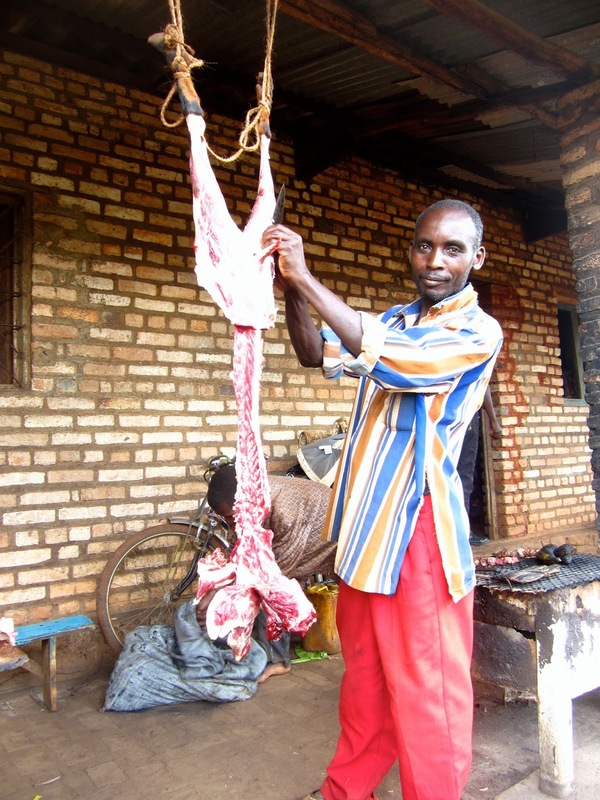 It brought home the fact that Burundi’s problems are no joke either. I can’t imagine how much fear one must feel to make the choice to flee to Eastern Congo of all places. Happy post-op mamas who are no longer blind! This man and his wife waited all week so we could do his other eye if we had time at the end. As part of our team, we flew in a special friend from Tenwek Eye Unit (Kenya), Richard Tonui, to help train our team how to carry out surgical safaris in some of the world’s most challenging environments. 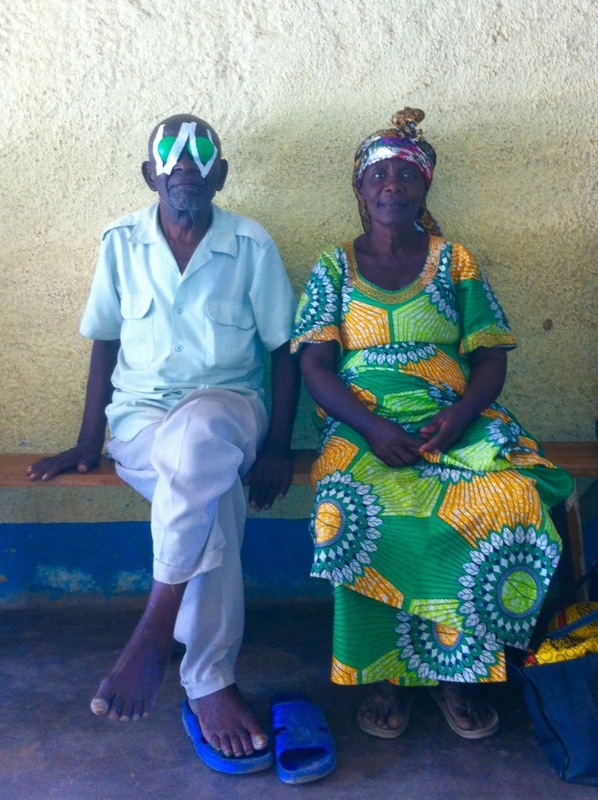 Richard has over 25 years of eye care experience going to tough places in Africa. We also had two Congolese students with us, a medical student and an optometry student, both of whom did an amazing job helping us navigate local logistics and care for lots of patients. One of the students has agreed to help found our first eye clinic in Fizi when the time comes. He happens to be the brightest one to come through Kibuye to date. So, the future is exciting even though we are still just a drop in the bucket when it comes to the needs of this region, but Jesus loves to start with an act of faith as small as a mustard seed and see it grow. We pray this small seedling that we are trying to nurture in Fizi will grow-up and begin multiplying other clinics up and down Lake Tanganyika. I’m quite new to the McCropder group, just beginning my third month in Burundi. I graduated from Renssealer Polytechnic Institute three years ago with a degree in Business Management with minors in Architecture and Psychology, and subsequently spent a year teaching high school economics in Cullinan, South Africa. 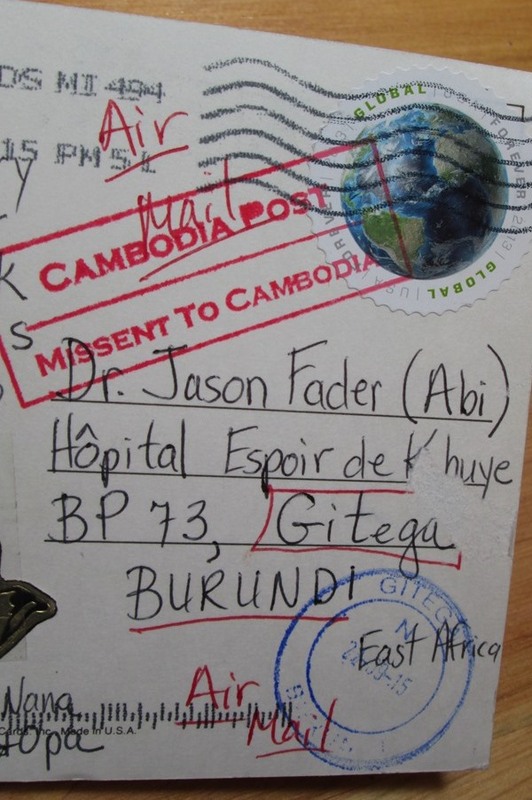 I joined Serge shortly after and through an unexpected turn of events, God called me to Burundi. So here I am, straight out of upstate New York, doing work that I find very exciting, but unfortunately is probably not very exciting to read about. I work in the accounting department of Kibuye Hope Hospital and oversee the finances for the teams various construction project. I hope to begin to branch out a bit and do some work in different areas of the hospital. One of those areas is the new hospital canteen. Work on the canteen began a number of months ago, and concluded this past week. We celebrated its completion with a ribbon cutting ceremony and small reception in the new building. Jason was given the honor of cutting the ceremonial ribbon along with Dr. Wilson, the hospitals’ Director of Medicine. The canteen will provide simple food and drink options for hospital staff, outpatients, and guests which were not available before. While I hope the canteen will help to generate additional revenue for the hospital (there’s the boring accounting talk), I am most excited about the opportunity it provides us to care for our patients and their families well. I also look forward to many more ribbon cutting ceremonies as we continue to build and expand here at Kibuye!